About — Flüüfff 2018 — Welcome to the Abbey! 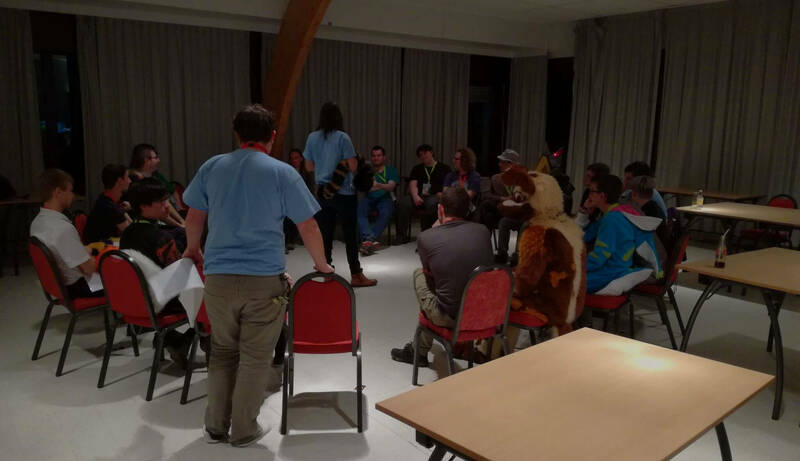 It's a Belgian furry convention, located at the Belgian coast! A furry convention is an event dedicated to anthropomorphic characters and a gathering place for all furries and their friends. The convention takes place in the Corsendonk Duinse Polders hotel. If you’re not 100% at ease with English, don’t worry. Please call someone from the convention Staff and we’ll find someone to help you in French, Dutch or German! 31st of October to 4th of November 2018 - It’s convention time! Take a look in the FAQ section and if you don"t find your answer, drop us a line at contact@fluufff.org — we’ll get back to you. You can check the Events program. The administrators of the NPO are Thierry Dognié, Jan Taverniers, Guillaume Poncin and Benoît Volckaert.